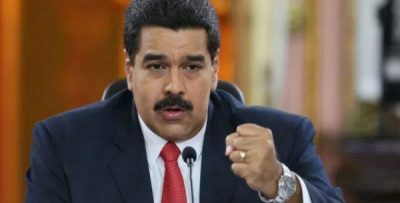 Messages and statements of support and solidarity from World leaders, governments, and intellectuals continued pouring in Sunday as they condemned the assassination attempt against Venezuela’s President Nicolas Maduro. Ecuador and Uruguay are the latest countries to issue strong statements condemning the attack against President Maduro and rejecting such attempts by violent and terrorist attempts to destabilize the country. “The Republic of Ecuador expresses its firm rejection and censure the violent acts that took place on August 4 in Caracas, during the commemoration ceremonies of the 81st. anniversary of the Bolivarian National Guard, which caused several injuries and endangered the President of Venezuela, Nicolás Maduro, his companions and others attending the official ceremony,” read a statement by Ecuador’s foreign ministry. In the early hours of Sunday, the Turkish government issued a statement condemning the attempt on President Maduro’s life. “We are deeply saddened by the attack which was apparently aimed at President Maduro himself,” said a statement issued by Turkey’s foreign ministry. Also, the Russian and Spanish governments expressed Sunday their support to President Maduro, his government and the people of Venezuela and called for peace. The Russian Foreign Ministry considered “categorically unacceptable the use of terrorist methods as instruments of political struggle”. The Spanish government has underlined its “firm condemnation of the use of any type of violence for political purposes” and has expressed its desire for “prompt recovery” to the wounded. Those statements were also echoed by the government of Dominica who condemned “with no reservation the attempted assassination of the His Excellency Nicolas Maduro, the President of The Bolivarian Republic of Venezuela. All law-abiding global citizens should stand in condemnation of the calculated and cowardly act against the Venezuelan people. As Prime Minister of Dominica, I stand in solidarity with the President and the people of Venezuela. Cuba’s President Miguel Diaz Canel and former President Raul Castro Ruz, first secretary of the Communist Party of Cuba, also expressed their full solidarity with President Maduro. The Union of South American Nations (Unasur) also denounced the assassination attempt against the Venezuelan president. In a statement, the Mexican Coordinator of Solidarity with Venezuela categorically rejected all such attacks on Venezuela’s president. Former Argentine footballer Diego Armando Maradona also extended solidarity towards Maduro.